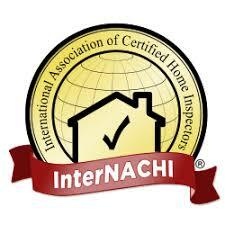 Did you know that licensing and certification are not always requirements to be a home inspector? That means that anyone could call themselves an inspector just to get your business. All Home Inspections will put your fears to rest. We have been licensed, certified and insured for more than 30 years. You can rely on our services because we have the necessary training and experience to give your future property the security and attention it deserves. Our certified staff of professionals has the knowledge and experience to provide you with a quality examination. A detailed written report will be returned to you within two business days. Our punctuality, sense of urgency and consideration keep our customers coming back. After all, you want to feel safe at home before you sign a final contract. All Home Inspections is happy to help. Call us for superior one-stop, quality inspection services! All Home Inspections is a full-stop home inspection company that has all the tools you need to help turn your future home into your dream home. Our highly skilled and certified inspectors will review your property and submit a written report to aid in your final decision. Our reports are unbiased and fair, for we do not profit from the sales or repairs of any home or structure. Joel is outstanding at his job. He goes out of his way to get the job done right and is very professional with my clients. He identifies every possible problem and reassures my Buyers they are getting a good home if the house is sound. Always on time and is a pleasure to work with.